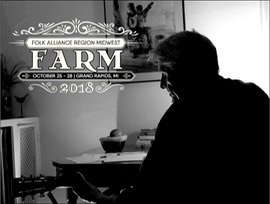 FARM is the Midwest regional conference of Folk Alliance International (Folk Alliance Region Midwest). About 300 musicians, presenters, broadcasters, podcasters, publicists & agents will be in attendance at the 27th annual event. “it’s a great opportunity to reconnect with the Midwest music community,” said Mark Dvorak who will be showcasing and presenting a workshop during the conference.